A courtroom is a place of legal battling, a tactical chess game of procedure and laws, of minds and reason. 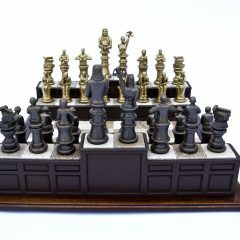 This Approach the Bench Magnetized Supreme Chess Set takes the analogy and puts in the form of a chess game. The chess pieces have been replaced with legal themed pieces such as the judge, lawyer, and Lady Justice. The chessboard is uniquely “stepped” to resemble a jury-box and a bench, and is handcrafted from a composite resin and Italian stone tile. A courtroom is a place of legal battling, a tactical chess game of procedure and laws, of minds and reason. 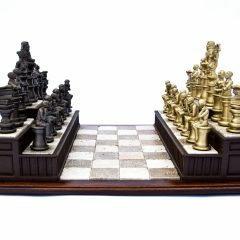 This Approach the Bench Superior Chess Set takes the analogy and puts in the form of a chess game. 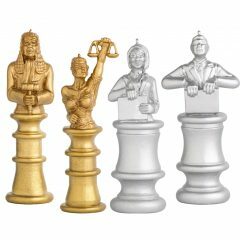 The chess pieces have been replaced with legal themed pieces such as the judge, lawyer, and Lady Justice. The pieces are raised up on the ornate courtroom inspired playing board. Presenting our beautiful legal-themed holiday ornaments! Perfect for the holidays or any time, these elegant ornaments will stand out on a Christmas tree, hung from a window or wreath, placed on a desk or anywhere in the home or office! Offering all 8 characters as entire set, available in either gold or silver! Most lawyers have great taste and an appreciation for the finer things in life, including good wine. Why not celebrate both with “Approach the Bench” wine bottle stoppers? 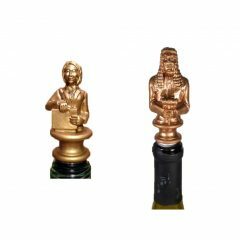 Made from composite resin and kitchen-safe stainless steel, and available in gold and silver colors, these Judge and Blind Justice wine bottle stoppers will display to the world a lawyer’s two great passions! Presenting our beautiful legal-themed holiday ornaments! Perfect for the holidays or any time, these elegant ornaments will stand out on a Christmas tree, hung from a window or wreath, placed on a desk or anywhere in the home or office! Practicing law can be trying! It is sometimes difficult, and sometimes very sweet. 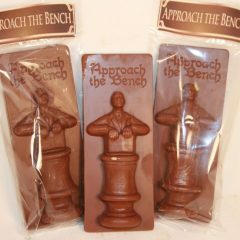 What better way to celebrate law and its practitioners than with “Approach the Bench” chocolate figures? 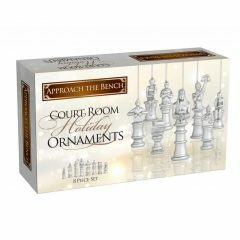 Based on the “Approach the Bench” chess figures (Judge, Male and Female Attorneys), these milk chocolate figures are a great way to reward hard work, unwind after a challenging day or say “Thank You” or “Congratulations” to an employee.